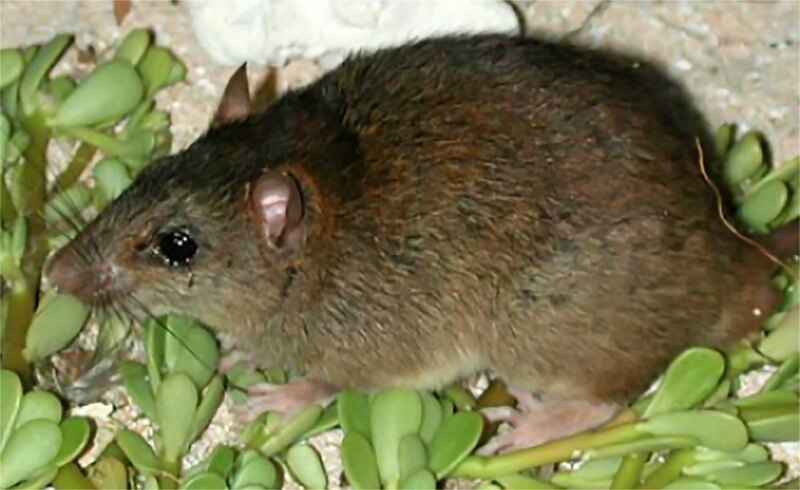 The Bramble Cay melomys, or Melomys rubicola, was thought to live only on the tiny island of Bramble Cay, which is about 340 meters by 150 meters, or 1,115 feet by 492 feet. The Queensland government reports the size of Bramble Cay changes with the seasons, and the scientists think rising sea levels contributed to the Bramble Cay melomys’ demise. The waves destroyed much of their habitat and possibly even some of the rodents themselves. Over the course of six nights, the scientists set up 150 mammal traps a night, and came up empty. They also ran 60 camera traps and conducted two hours of “active daytime searches.” They also spoke with a fisherman who visits the island every year, who confirmed the rodent hadn’t been sighted since 2009. They finally concluded the Bramble Cay melomys is very likely extinct, and is possibly the first mammal species to perish because of climate change caused by humans. There might be a small hope for the species: the researchers think there could be some yet undiscovered on nearby Papua New Guinea. They think the Bramble Cay melomys could have arrived on the tiny island in the first place by floating on debris from Papua New Guinea. If that was the case, the rodents could still be there. The scientists suggested surveys of that island to search for any Bramble Cay melomys that may be lingering. There is a slight chance they are still on Papua New Guinea; the scientists suggest more searches. The last Bramble Cay melomys was likely sighted in 2009.